Toronto design studio Swerve started as a partnership of two experienced and successful creative directors: David Johnson and Mark Haak. Mark and David still direct all aspects of the business — the design (which they love), the client service (which they love even more), and the sales (which they both royally hate). The success of their ongoing collaborations led them to create their own full service graphic design firm in 1999 – the product of David’s considerable print and communications experience combined with Mark’s Web and multimedia expertise. David’s learned more than a thing or two in his over 30-year career. He’s created almost any form of print communication imaginable from 200 plus page annual reports to complex packaging with 7 spot colours. He uses words that are foreign to many like, bleed, CMYK, offset, rag, dies, perfect bind or letterpress. He has particular experience in creating internal marketing and communications pieces working on projects for such clients as Deloitte Consulting, Ontario College of Teachers and the Environmental Commissioner of Ontario on a variety of web and print based projects. David’s main focus is on annual report design and other similar publications. He is a skilled designer, and provides the “last word” on each of our projects, ensuring that Swerve’s design work meets each client’s unique marketing and business objectives. David will oversee the design of each project, providing direction as to how to best achieve attractiveness, readability and brand compliance. Mark begins any project by first taking the time to fully understand the overall goals and specific project needs, then challenges conceptions and designs innovative solutions. He has a unique ability to both stand in the shoes of the target audience and also deliver results that are on brand and on mission. It’s about more then the final results – he ensures the journey itself is a process that is engaging and enjoyable. 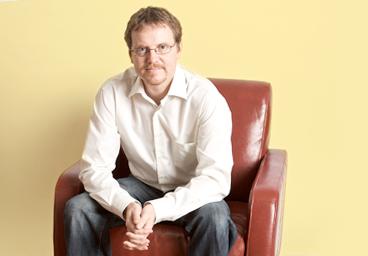 He has been designing for the web since helping launch the Toronto Star online over a decade ago. 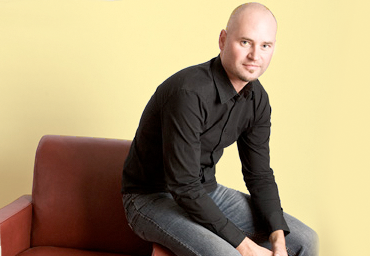 Since then, he has spearheaded countless design projects for a wide variety of clients, including RIM/BlackBerry, Labatt Breweries, Expedia.ca, and Tim Hortons. Not only is he a talented designer, he also brings a unique mix of creative abilities from his photography to paintings that have appeared in galleries and private collections.